Airborne molecular contaminants (AMCs) cause major product quality issues in modern semiconductor fabrication, even at very low levels (part-per-billion, ppb, concentrations and below). Currently multiple different tools are used to detect certain classes of AMCs with varying degrees of effectiveness. Selected ion flow tube mass spectrometry (SIFT-MS) is a unique analytical tool that provides comprehensive, high-sensitivity detection of volatile organic, and semivolatile organic compounds (VOCs and SVOCs), and inorganic gases (including HCl, HF, and SOx) within seconds. As a single, comprehensive tool with rapid analysis, SIFT-MS provides great economic benefit because it detects and identifies a wider range of AMCs issues and does so faster. This results in increased product yield and reduced maintenance and replacement in infrastructure. 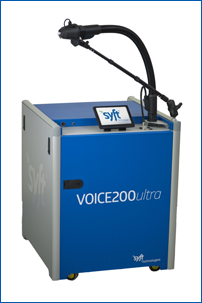 Separation Science, in collaboration with Syft Technologies, offers an on-demand webinar presentation that will introduce the SIFT-MS technique, compare performance with other detection technologies, and describe its application to AMC monitoring – from the front-opening unified pod (FOUP) to the cleanroom.